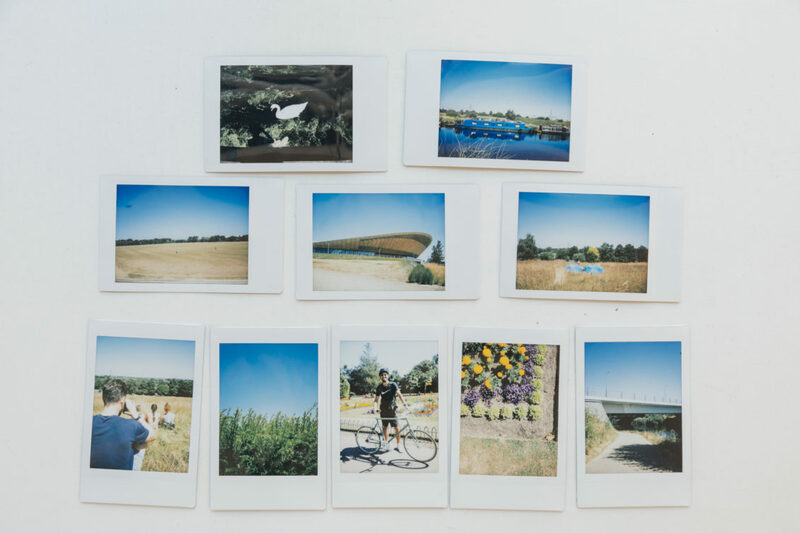 For the second in our series of Summer Rides for 2018, organised in collaboration with Ace Hotel and selected photographic partners, in this case Instax cameras, we ventured over to the Queen Elizabeth Olympic Park, the Hackney Marshes, Walthamstow Marshes and up the River Lea. 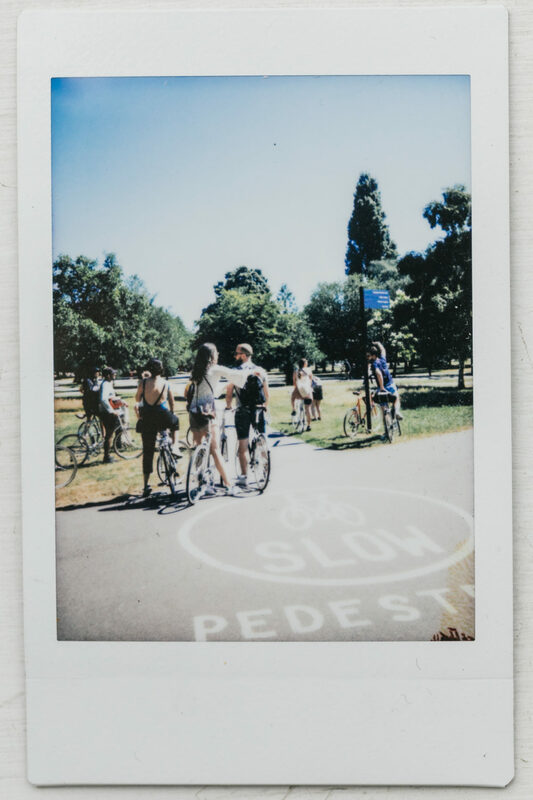 As of Saturday the 30th of June, the date for our second ride, London was in the midst of a sweltering and most welcome heatwave. 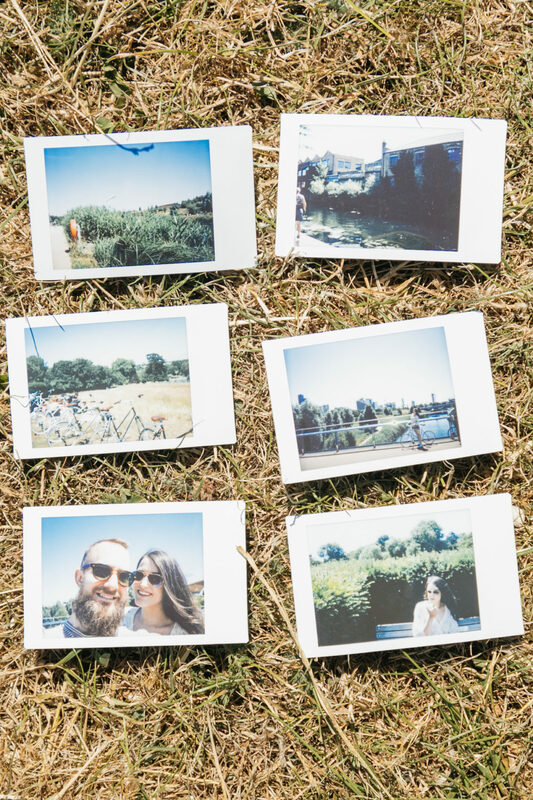 For those unfamiliar with London in the summer, particularly a hot summer, there is a tendency for residents of this great city to succumb to a kind of temporary madness; a kind of fugue of fun, frivolity and forgetting about tomorrow. It was against this backdrop, with the sun again rising hot in the sky, that we set off on our ride to find some of the greener spots of East London. 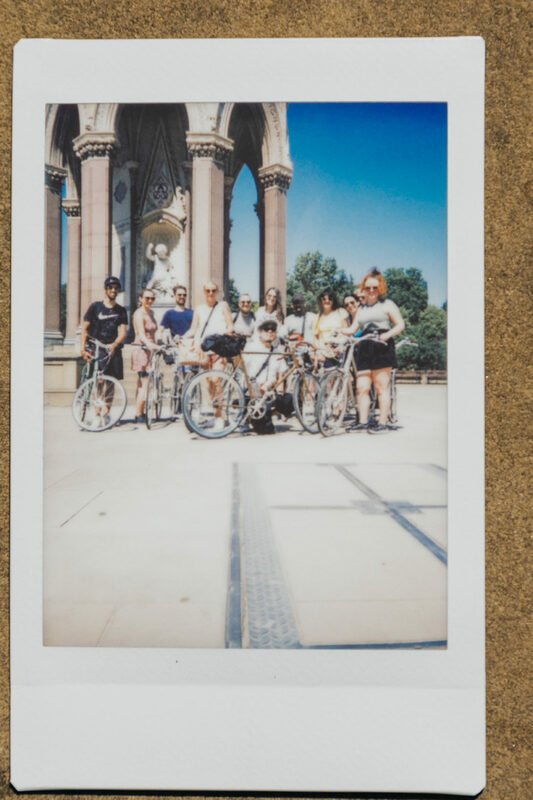 As ever, our riders were a wonderful mix of different people, all somehow united by a proclivity for exploration and an openness of attitude that makes these rides such a joy for us to run. 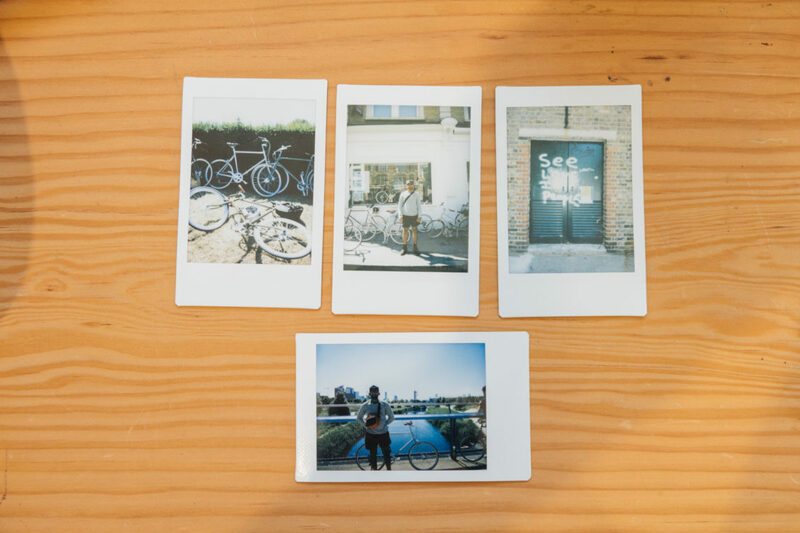 As we set off from the tokyobike store on Tabernacle Street, after meeting at the Ace Hotel and getting fuelled with coffee, our pack lunches and the Instax cameras, we had nothing to worry about except for the various patches of broken glass that can be found on the streets of Shoreditch on any weekend morning, no doubt the leftovers of some riotous revelry the night before. There a lots of reasons why people don’t go on long rides on the weekend, or venture on their bikes to places they don’t know; the fear of getting a puncture and not being able to fix it is one of them, but there are also concerns about what routes are safe and worth exploring. 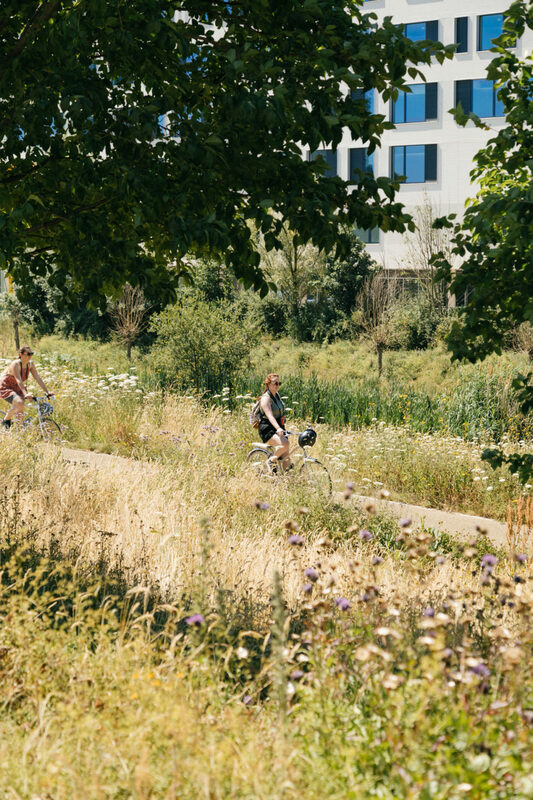 Cities can be intense places, but part of the idea behind our Summer Rides is to find relaxing routes, to make things simple, and to let people revel in the feeling of just riding a bike while enjoying the view. 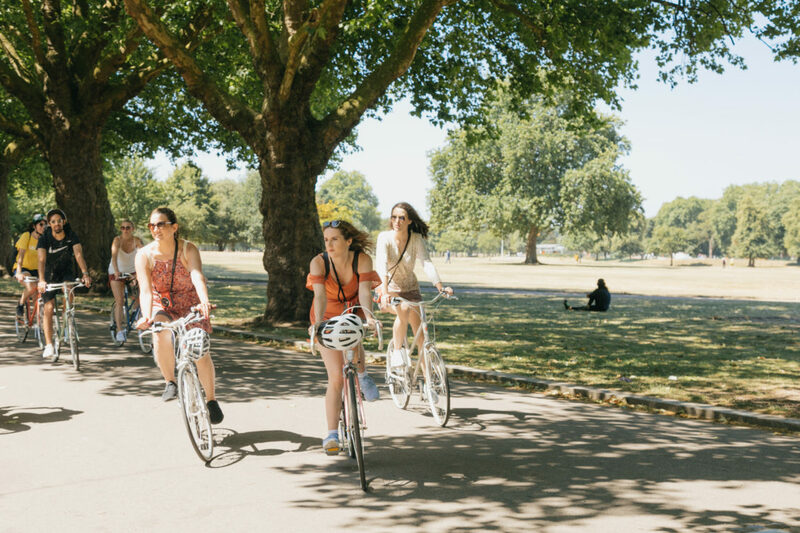 Using recognised cycle paths, we weaved our way out of Shoreditch, through Arnold Circus, Columbia Road and past Hackney City Farm, up to Regent’s Canal and over to Victoria Park. 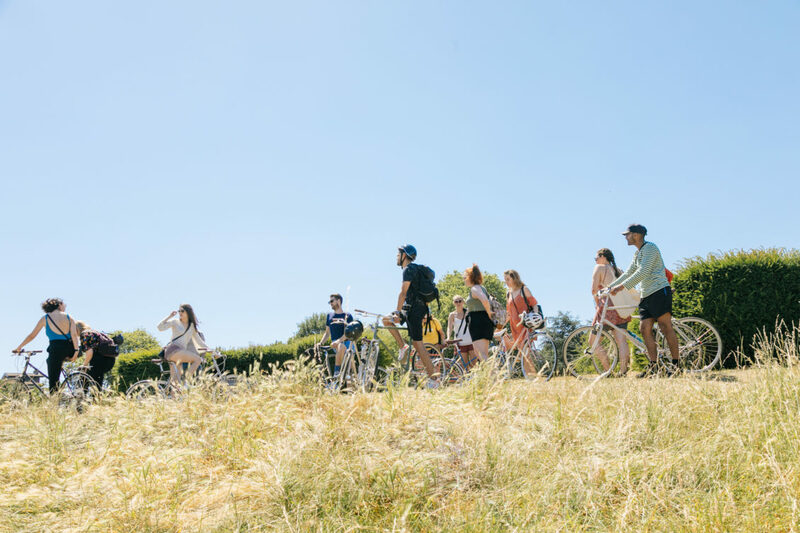 Here, everyone started to breathe out, as the wide boulevards of the west side of the park allow for relaxed riding. 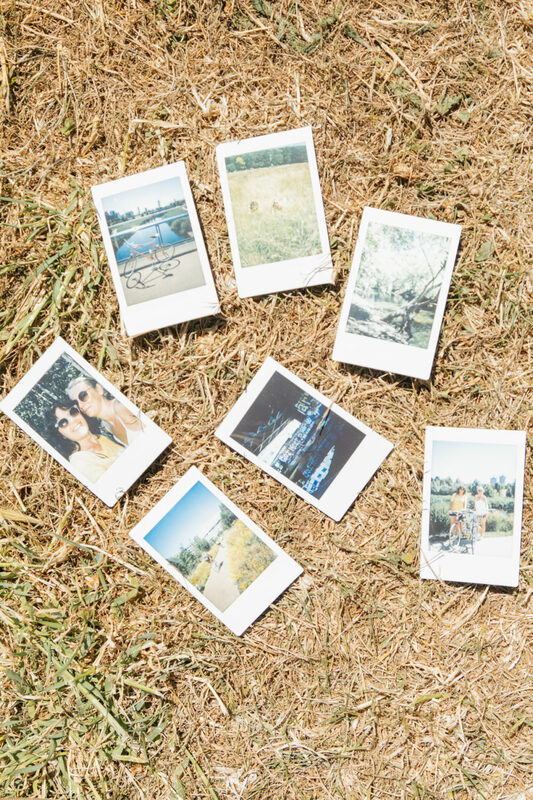 Stopping every now and then to take some photos with the Instax Mini 70 cameras, we made our way round the south side of the park, past an organised relay running event of some sort, which frankly looked like too much like hard work in the heat. We then crossed over to the Olympic Park, by way of the Greenway and soon dropped down to the River Lea section. 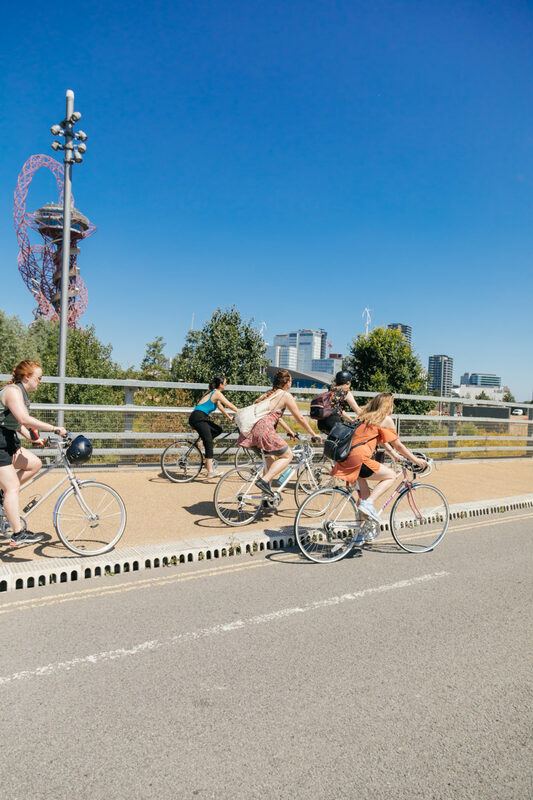 One of the great things about the Olympic Park, is that it was always designed to allow cyclists to traverse it, and you can now take an infinite number of different paths that weave across it. 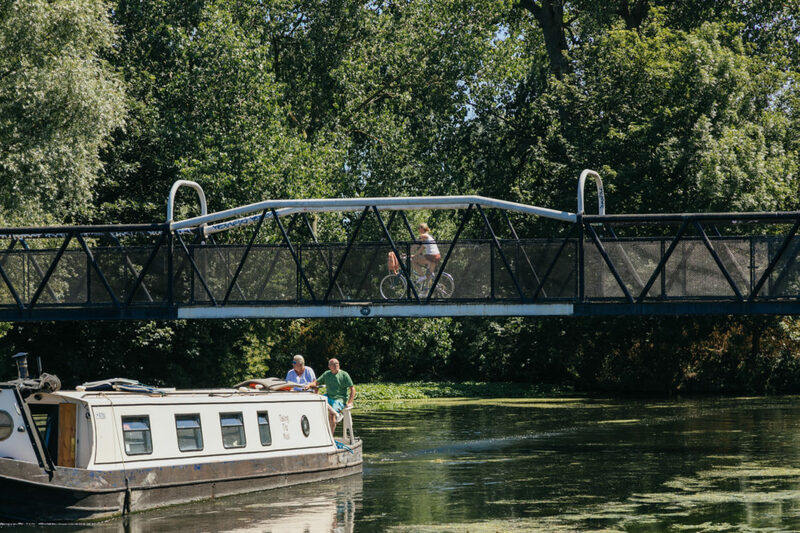 After six years of bedding in, it is also now a landscape that is resplendent with plant and animal life; overgrown bullrushes, diving swallows and dragonflies at every turn, while the regal looking River Lea running majestically through it. 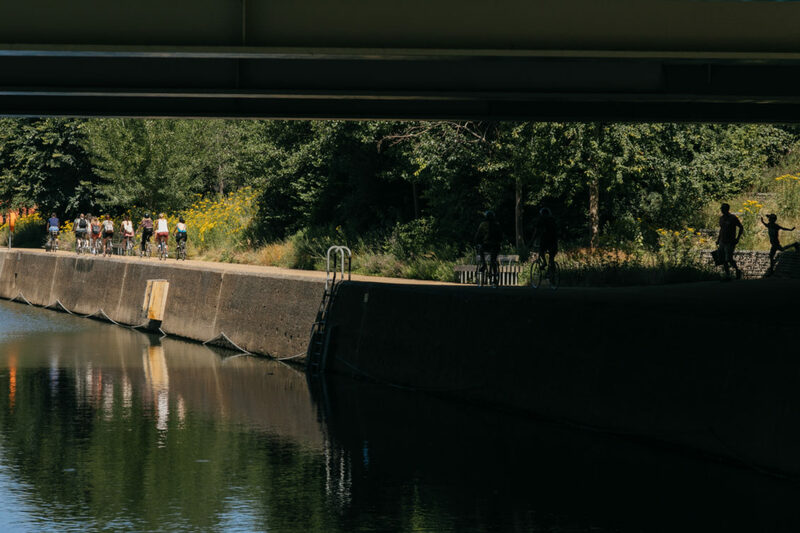 navigation, along the East side of the Hackney Marshes and the Olympic Park, past all of the festivities of Hackney Wick and along the north side of Victoria Park. All on cycle paths, at our own pace, with a light wind cooling us down. Our last detour was through Haggerston Park and past the Hackney City Farm, just to check in on Larry the donkey and his girlfriend, who seemed remarkable untroubled by the heat. Thanks for the riders for making it such a relaxed day and for British summertime for serving up such a treat.